Failure in blogging is not caused by a lack of blogging skills. It’s mainly caused by your mindset unintentionally sabotaging your success. 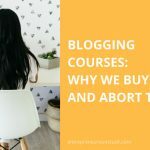 I explained this momentous mindset trouble very detailed in this post: Professional Blogging Courses: Why We Buy And Abort Them. Feel free to (re)read it. Actually, I recommend reading it before moving on here. It helps you understand what epic troubles your mind creates by default (without you even realizing it), constantly hindering you from succeeding. Trouble is, even with this powerful knowledge, most people keep on failing. They keep on failing because they refuse to deal with the main cause of their failure – their mindset issues. What do internal and external problems have to do with it? In many situations of life, we try to cheat our way through by thinking the awareness of a problem is enough to let it disappear automatically. In reality, though, most problems are not solved by this passive “I know” behavior. It’s our sluggishness leading us to believe in this lazy charming away of problems. Our overall willingness and motivation to deal with problems very much depends on whether the cause of the trouble is of external or internal source. Dealing with external problems is what we are most likely good at. Having a flat tire is something external we don’t hesitate to call the garage and get it fixed quickly. Once he gets stuck, he is very quick in making the poor quality of a training he took responsible for that. He has quickly located the training as the external problem that can promptly be solved by buying a “better” resource (leading him nowhere better). However, internal problems are what we instinctively and vehemently refuse. They are not caused by other people or any external circumstances. Internal problems don’t allow any lame excuses. Instead, they are finger pointing right back at us and only us. They refer to our innermost – our way of thinking, feeling and behaving. And, by nature, we don’t like touching this holy grail of our “innermost us”. Touching it means dramatic open heart surgery. Most people remain to be a soon-not-to-be blogging champion because they don’t treat their mindset issues. Many of us are at the mercy of their thoughts and emotions. They try to control them but find themselves overwhelmed by disagreeable feelings over and over again. It’s like a tinderbox you better not open. What they don’t realize is, that you actually can take full control of your thoughts and emotions. But to be the one in charge, you have to open that tinderbox and deal with it. Another large group of people totally underestimates the (good and bad) power of their mindset. They are packed with strong self-esteem and think mindset troubles are reserved for wimps only. And if they once get to a point where they have to confess some detected mindset trouble, they think they can eliminate that trouble from one moment to another. They see no need to spend time or money on mindset issues and prefer to take that time to build their business. These people keep on being busy with their business, not knowing that the unfitting shape of their mindset makes it all doomed to fail. This underestimation of our mindsets power is not a specific blogger disease. It’s a widespread miscalculation people make all over the world, limiting their scope in private and business life. People move mountains to deal with their problems in a not mindset related way. In many cases, though, facing your minds game would take far less energy and effort than seeking refugee in a “mindset is all fine” trouble shooting. Within all options for solving a problem, the mindset-focused-way seems to be avoided like the plague. Look at people in competitive sports. They work their butts off to make it to the top and keep on failing. A smart injection of a winners mind would be all they need to get to and remain at the top. Or look at all the interpersonal troubles limiting people’s quality of life. Most of them are left untreated. People arrange themselves with these unsolved and permanently straining circumstances throughout their entire life. If you break your leg, you naturally go to the doctor to fix it. If you have problems with your mind and soul it takes years or even a lifetime for you to raise your hand for professional help. As long as our mindset issues have such a poor lobby, they remain to be seen as a weakness only losers have and talk about. I want you to realize that the story of your life is written by your mindsets performance. Making use of your mindsets power or leaving it decides whether you make your dreams come true or end up in an endless loop of failure. What do success icons like Richard Branson, Mark Zuckerberg, Bill Gates, Michael Jordan, Oprah, etc. have in common? Some of them were lucky to be equipped with a pre-given mindset perfectly suited for creating their success story. However, many of those success icons we know had to face their mindset and shape it up with backbreaking work to finally get to the very top in their line of business. That’s what many people don’t see on the downside of all these glitzy “succeeding like a charm” stories. No matter what you do, you need a strong mindset to become the best in it. …there is simply no chance for you to not succeed! With this finisher mindset, your way of making decisions and experiences will completely change. You will find yourself in habits of steady accomplishments, inspiring you to sensefully expand your capabilities. It will be a natural thing for you to break fresh ground. All this powerful you will dramatically change the course of your life for the better. In short, if you team up with your “upshaped” mindset, you will make use of the full potential of capabilities and talents you carry within yourself. And again, it’s close to impossible not meeting your goals and fulfilling your dreams out of this winning mode. It’s a shame only so few people know about this power they have about the course of their life. And it’s even worse that only a small portion of those who know about it really take action to access and use this inner power. Change direction from failure to success now! 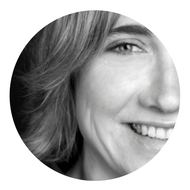 Unfortunately, you can transfer this unpleasant common law one-on-one to the blogging industry: Only the fewest make use of the full potential they carry inside to build their business. Most bloggers remain to be wannabe-success-stories with a mindset heavily limiting their scopes. All the great experiences of discovering new territories, making great progress with a growing self-esteem, taking risks that are granted with great achievements, etc… will fail to appear in their desperate attempts to make this “living the blogging lifestyle” work. I don’t want that to be you! 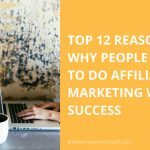 The sooner you decide to make common cause with your mindset by shaping it up to your blogging needs, the smoother your individual journey to success will take place. In the first place, all you need to do is making your active behavior of doing your business invulnerable from all the destructions your not yet fitting mindset is permanently firing at you. 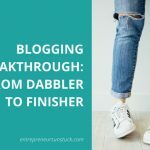 This is exactly what I teach people in Finisher Mode: Start shifting your mind settings from day one for making the progress you need to turn your blogging efforts into a profitable business! I really hope you have found some helpful information about why some people succeed while others don’t. As always, I am curious to hear about your experiences with the challenges your mindset sends to you. Please share them in the comments below. And if you have any questions feel free to leave them below too!